The Commission has a duty to promote understanding and awareness of the importance of human rights in Northern Ireland. To do this we may undertake or support research and educational activities.We provide training programmes and work in partnership with government departments and agencies, and community and voluntary organisations to help mainstream human rights in their work. For example, we work in partnership with the NI Civil Service to increase human rights knowledge and awareness across the NI departments. Have a look at the online human rights guide for civil servants here. We are a small team at the Commission but are happy to assist where we can! If you have a specific request please do not hesitate to get in touch with us at info@nihrc.org. 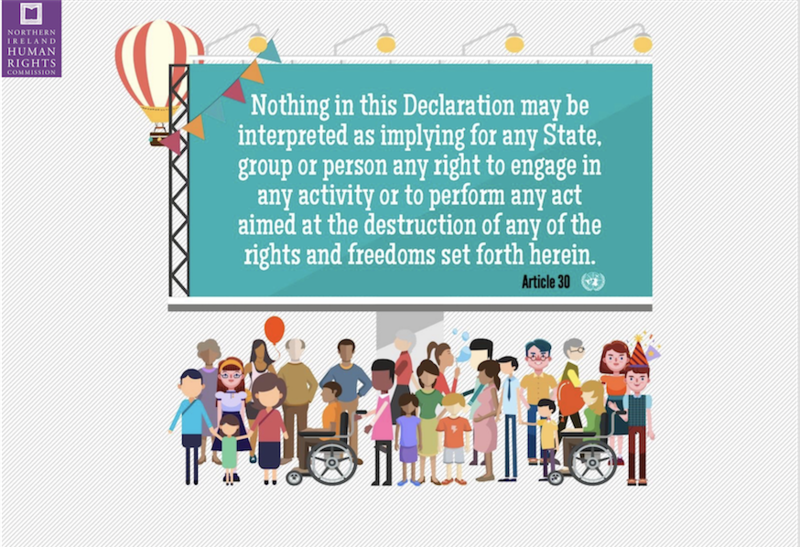 To promote awareness of human rights in Northern Ireland we have developed a range of videos resources and infographics which you’ll find in the Resources section below.